Team maintainers and organization owners can nest a team under a parent team, or change or remove a nested team's parent. Organization owners can change the parent of any team. Team maintainers can change a team's parent if they are maintainers in both the child team and the parent team. Team maintainers without maintainer permissions in the child team can request to add a child team. For more information, see "Requesting to add a child team." Child teams inherit the access permissions of the parent team. For more information on team hierarchies, see "About teams." You cannot change a team's parent to a secret team. For more information, see "About teams." You cannot nest a parent team beneath one of its child teams. In the list of teams, click the name of the team whose parent you'd like to change. 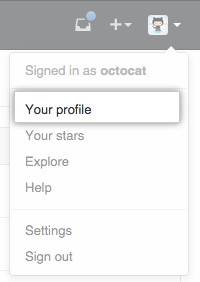 Under the team name, click Settings. 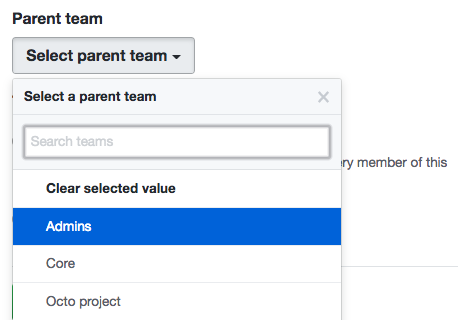 Use the drop-down menu to choose a parent team, or to remove an existing parent, select Clear selected value. Read about the changed repository access permissions. Click Confirm new parent team.